Kacha Gari was a sprawling maelstrom of tents and mud huts and poverty, a camp home to tens of thousands of Afghanistan refugees fleeing the Soviet invaders in the 1980s. Situated in Pakistan's North West Frontier, near Peshawar, some of the camp's population began to migrate back to Afghanistan after the fall of the Taliban in 2001. For one man, among the thousands who were born in Kacha Gari, not even war-destroyed Afghanistan could dampen the excitement or quell the wide-eyed wonder that there existed a world rich of opportunity outside the barbed-wire claustrophobia of refugee camps. 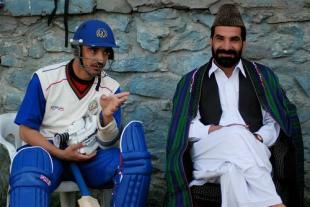 That man was Raees Ahmadzai, a middle-order batsman who represents Afghanistan. We meet in the relative opulence of Senwes Park in Potchefstroom, where his team are taking part in the World Cup Qualifiers for 2011. He is barefoot and beaming, ushering me up to the pavilion and eager to talk. He is casually indifferent about how old he is. "Talking to my mother, she works out my age by seeing who the president was," he said. "Unofficially I'm nearly 25, give or take three years. Or four. I could be 21 or 28." Deep-set wrinkles and a calm demeanour hint at the latter. That Raees and his side have risen from obscurity is a tale of rare romance for a sport that lately has ingratiated itself with farce and calamity with depressing regularity. The team are frequently termed as fearless, justifiably so after winning three tournaments on the bounce. Given their difficult upbringings, belief is endemic throughout the squad. "We never saw outside the camp. We just felt that everything else in the world would be the same. But I realised later that I led a very, very simple life. For a long time there was no electricity, computers, phones, facilities or anything. Very hard, very difficult. It was so hot. Sometimes it was nearly 50 degrees [Celsius] and we had no fans or air conditioning. So maybe that's why we are a little bit strong. When we see these kind of facilities, it's just so easy. Playing in these temperatures is easy." How did a team of mostly Pakistan and Afghan refugees learn the nuances of the sport? Young Pakistanis are weaned on to the game in dusty gullies with "tapeball" cricket, played with a tennis ball wrapped in gaffer tape or similar. These balls fly through the air and off the (usually concrete) surface. Raees, though, didn't have access to any sort of ball. "We'd make cricket balls out of anything. Cloth from a shirt, wrapping it round and round. And we'd cut trees and lay down bark for a wicket. We'd have two shoes for stumps, and if the ball went through the middle, you'd be out… otherwise the batsman would play all day and no one else would get a chance." The 1992 World Cup provided him with the spark to play the game, but it was an Englishman, not a Pakistani, who inspired him. "We asked everyone: 'Why are people so happy?'. 'Ah, Pakistan won the World Cup,' they would say. 'What World Cup?' The cricket World Cup. "I heard the name Alec Stewart - and I immediately thought 'Okay - I want to be like Alec Stewart.' I couldn't understand or pronounce the other names, but Alec Stewart? That was easy. And cricket started for me there"
"In one house, they had a television, a tiny black-and-white TV and there were highlights of the final. And I heard the name Alec Stewart - and I immediately thought 'Okay - I want to be like Alec Stewart.' I couldn't understand or pronounce the other names, but Alec Stewart? That was easy. And cricket started for me there. "It was a huge, huge camp. Thirty thousand people - can you imagine? Then slowly we began playing with a tennis ball in 1996, and I'm lucky that I became very famous playing tennis-ball cricket. Within five or six months I was playing for a local team against another side outside the refugee camp, a side with local Pakistani players. In 12 overs I made 114 runs out of 167, with 13 sixes. Some of the Peshawar first-class bowlers were playing. And in the refugee camp, I suddenly became famous. I was like Sachin Tendulkar. People came to watch my game, calling 'Raees! Raees!' Karim Sadiq [Karim Khan, wicketkeeper-batsman] was also there, and also famous. And his brother too. And his big brother, Taj Malik [former coach] was also there. And his older brother too." Operation Enduring Freedom, the American-led invasion to oust the Taliban in response to 9/11, signalled a change in fortune for Raees and many in Kacha Gari. Once Kabul had been taken, Raees saw his opportunity to escape the refugee camp and dream of playing cricket on a full-time basis, albeit travelling to a country still in the midst of a war and leaving his family behind. "There were a lot of problems. It was like a different world. We adjusted very slowly but there were so many problems. No telephones, the houses were all destroyed or damaged, the roads ruined, and it was still so dangerous. But I got my first trial with the national team," he says, rather flippantly. Cricket, as he later said, is all he and his team-mates ever think or talk about. "I was lucky to get selected for a grade match back in Peshawar. When I played my debut, against Hong Kong, I was so happy about that. They were a really good side and I was playing my debut against an international team. With my offbreaks, I got Rahul Sharma [the captain] with my second ball, stumped down the leg side. It was rubbish - a wide, but I got the wicket, and I was the first Man-of-the-Match by an Afghanistan player outside of our country." Statistics and figures are important to these players. They know the game inside-out; they know players' averages and strike-rates and idolise the world's best. Some, like the indefatigable wicketkeeper-batsman Karim, believe they can take on the world. Raees was initially less bullish. "At the start, we didn't believe we were very good cricketers. But when we saw the players in the ECC Trophy, in 2004, we felt we had to work hard and be better technically and, Inshallah, we will play better cricket. "We play professional cricket. We don't have a job. We only ever talk about cricket, always searching [online, on Cricinfo] about cricket. No one has a job - we can't. No one can pay, we have no sponsor. The only money we get is for our clothes. The ICC pay for the flights. So no one gets a monthly salary and I've never had a job, in fact. None of us have. Thanks to our families, we are so lucky." Given the Pakistani heritage running through their blood, their style of cricket smacks of the Imran Khan and Wasim Akram eras, though as yet without the refined talent. "Plucky" is the most accurate word at the moment, though even that might be downplaying their ability. Their performance to beat a complacent Bermuda was not achieved out of luck. Bermuda were out-batted, out-fielded and outbowled - though their captain, Irvine Romaine, cheerfully denied that they underestimated their opponents. 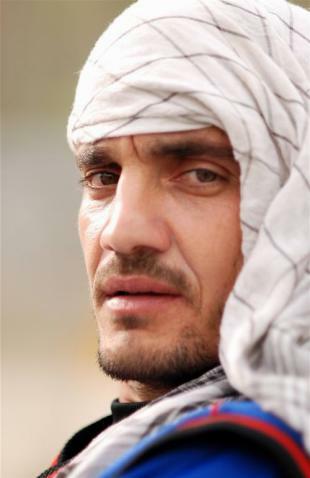 There are rumblings of discontent among Associates that Afghanistan have risen so fast. Their "we're here to win" attitude in Jersey, one journalist told me, was ill received by opponents. But they won. Others find the team's mostly-Pakistan, not Afghan, players an unfair advantage. Yet all of the side, wherever they may have been born, are committed to their country. "I am the lucky man," says Raees. "I can do something special for my country. I am very proud of myself; my family and friends are proud of me. We were not involved in the war. We were not involved in the bad things. We bring peace to our country. I sometimes feel like…" He paused for a while, unsure whether he should go on. "I don't know. In fact, yes, I am right - I am an ambassador of my country. I will show my culture to the rest of the world that we are not warrior people. We want a good relationship with the world - that we respect people and we have no problem with anyone. "It is our mission to give a good name to our country. Like Maradona, he gave a good name to Argentina. We have a lot of support. Our cabinet minister even calls me, saying how we are the heroes of Afghanistan and that he's proud of us. And we were on the news, congratulating us for winning. "When I go shopping, they ask my name. And they recognise me from television, and always hug me and smile and shout my name. 'Let's go and have tea,' they say. 'Let's have lunch.'" The answer to whether he believes Afghanistan will reach the World Cup is predictable: "Inshallah". Given all that they have had to overcome so far, you wouldn't bet against it.